Give us the vision of what you’d like to see, and our Portland kitchen contractors will work with you to design and build your perfect kitchen. We’ll discuss your dream kitchen style, look, and feel. And, we plan everything down to the smallest detail to ensure we blow away your expectations and you fall in love with the results. 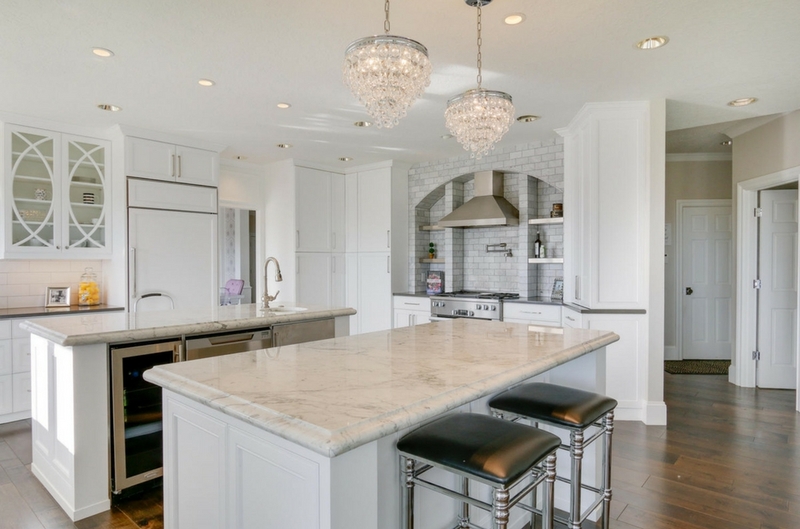 Our experts have years of experience in kitchen remodeling and design, so you’re in good hands. 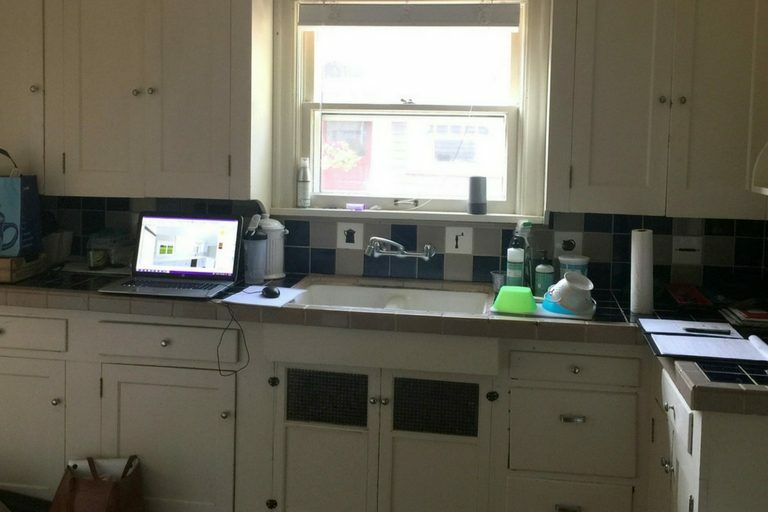 Anytime you want to check on the status of your project, simply log on to our custom tracker to get real-time updates on your kitchen renovation. 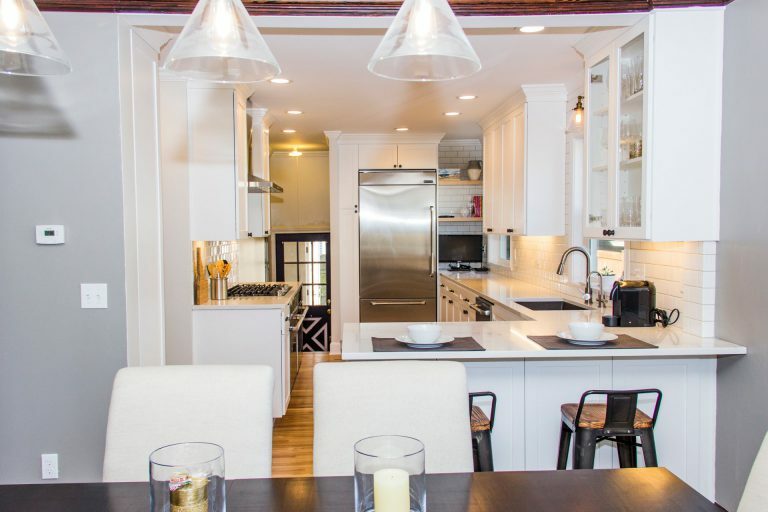 Let’s Remodel’s kitchen remodeling is rated 5-Stars across all social platforms and were recently featured on the Best of Houzz because of the hands-on approach of our interior designers. Looking for a new kitchen? Need more storage? Want to revamp your kitchen design? 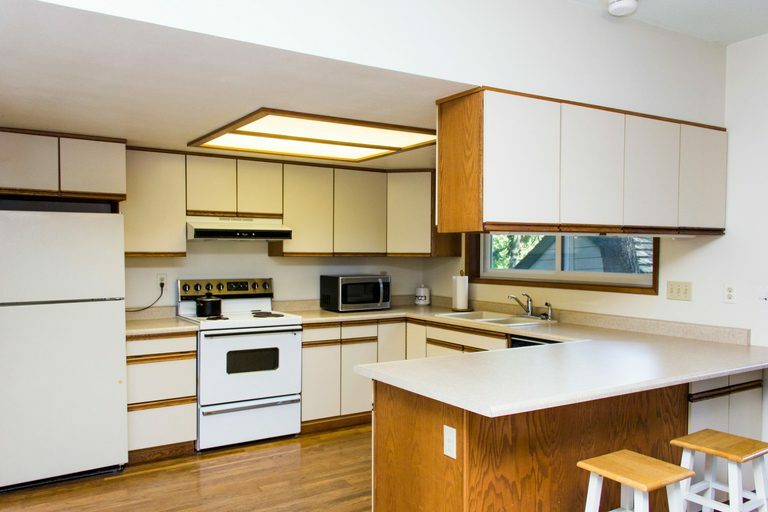 We’ve renovated hundreds of kitchens of all sizes in Portland, and we’d love to work on yours. The kitchen is the heart of your home. It’s where your family and friends gather together for home-cooked meals and where memories are shared. If it’s not exactly the way you want it, change it! Your kitchen should match your taste and lifestyle. Contact us now to share your ideas and discuss how to make your dream kitchen a reality. Don’t forget to see some of our past work. Let’s have a conversation about your project, your budget and your timeline to see if we’d be a good fit for you. After this we will set up a meeting in the comfort of your home to further discuss your vision, provide you with a rough estimate and send you a pre-construction agreement for your review. Once the pre-construction agreement is signed we will work together to build the space of your dreams. We’ll guide you in selecting materials, color schemes, and layouts. Further research, consulting with sub contractors, and design meetings will help to ensure your remodel runs smoothly. Our online portal for your project will allow you to log in and review all design selections and meeting notes along the way. Not only can you view the progress of your project, but you can contact your project manager, approve change orders, and even pay directly from the portal. When the pre-construction stage is complete you will know exactly what to expect. An itemized proposal will show the exact scope of work and cost, and an estimated timeline will be provided. Now it is time to sit back and watch the transformation. As your design/build team it’s our promise that we will be on the job site until completion and leave with you a beautiful and clean space. If you’re happy with your existing kitchen floor plans and just need to make a few updates, this type of renovation might be good for you. Save money by refacing existing cabinets instead of replacing the existing boxes. Replace laminate countertops with beautiful, timeless Quartz; install a midpriced sink and faucet. Repaint the trim, add wall covering, and install sturdy, luxury vinyl flooring. Plastic walls to contain dust in one area, protective plastic on other areas as needed to protect floors, walls, valuables, furniture, and more from dust. With an increased budget you’ll have more flexibility to get the kitchen of your dreams. 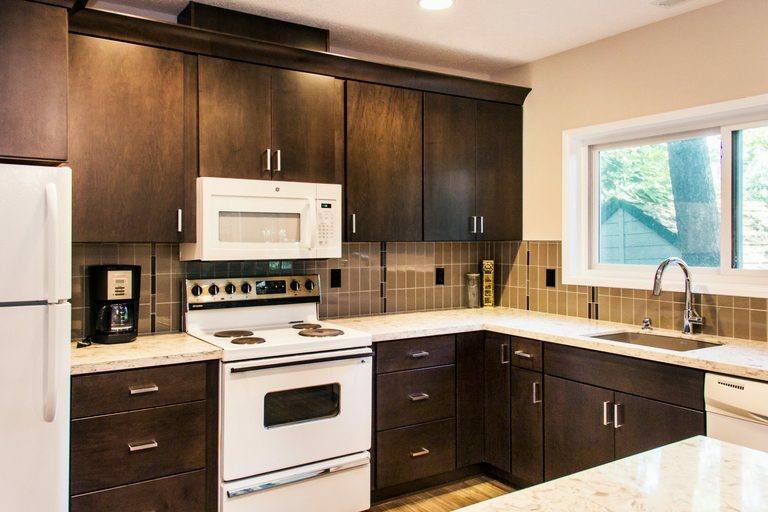 This kitchen was remodeled for $55,000 and included several structural changes that completely transformed its look. Plastic walls and protective plastic to contain dust in one area, protective plastic on other areas to protect floors, walls, valuables, furniture and more from dust. Special dust collection & removal system to minimize dust and smell. 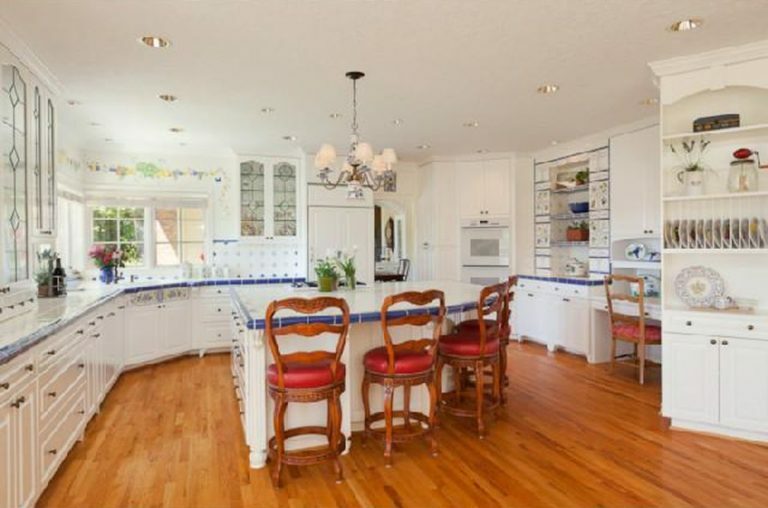 A complete kitchen makeover that includes a new, custom layout, new furnishings, and mid-range to high-end materials. The project cost can vary quite a bit depending on the materials used and if any structural changes are needed. This kitchen was about $75,000 and included heavy structural updates.